Last time on the Great Phoenix Cupcake Challenge we awarded the prizes for storefront, decoration, most random location and range of flavours (for the full details see here). Today however we bring out the big guns, the OSCARS of this cupcake tasting championships. 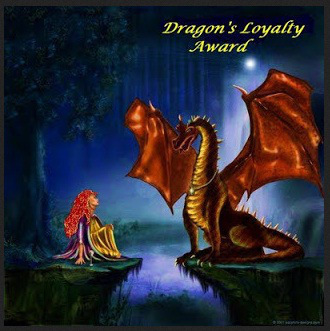 Today we will discuss the results for the best individual cupcakes and crown our overall champion, the queen of Phoenix’s cupcake shops. I have a confession, whilst I love fresh strawberries, I almost never buy strawberry-flavoured products because they almost never taste like strawberries. Instead what you tend to get is a taste reminiscent of shampoo, bearing very little relation to the delicious fruit from which it supposedly comes. However, this cupcake make me eat my words. Delicious cake with a lovely vanilla flavour, and the frosting! Oh my. Absolutely delicious, wonderfully fruity and not at all too sweet, a common complaint amongst ones we did not like so much. Whilst all the cupcakes from this lovely shop were completely delicious (we did not have a complaint about any one cupcake! ), this one stood out particularly. Putting bacon in a cupcake can be a little controversial amongst tasters – you seem to either love the idea or hate it! 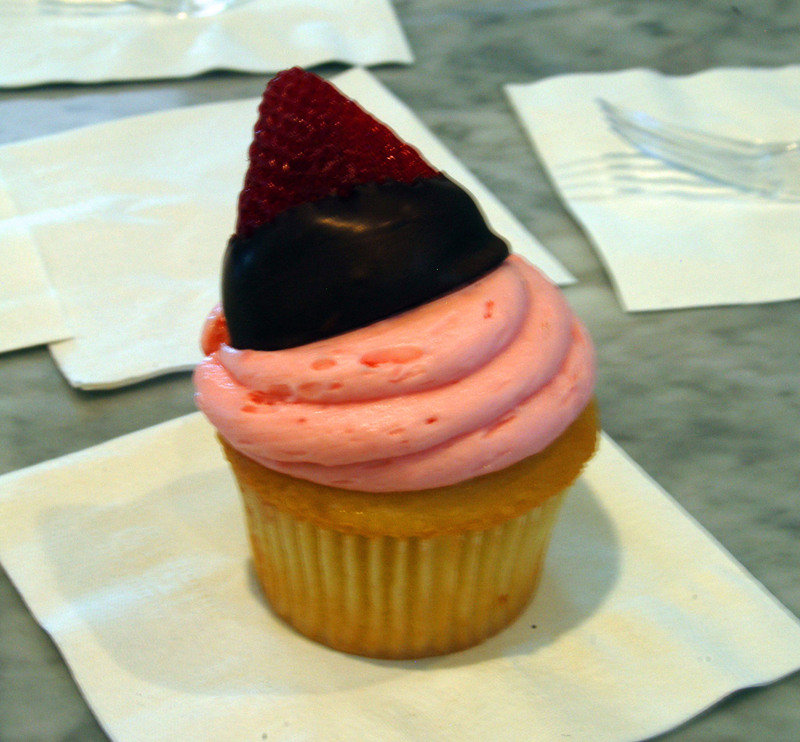 However, this cupcake defied the expectations of several doubters, and emerged clearly as one of our favourites. 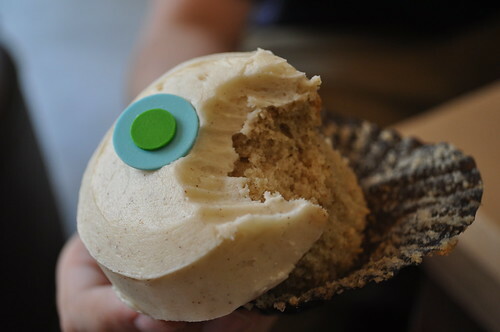 The vanilla cake was beautifully fragrant and soft, whilst the maple and bacon combination came through clearly but managing not to overpower the whole cupcake. Possibly my favourite cupcake that we tasted, this cake recipe should be the standard text on how to use bacon in a cupcake. Sprinkles Cupcakes have the plainest presentation of any of the shops, but often this plain presentation hides a wonderful interior, and this particular cupcake shows the duckling becoming the swan. A non-descript brown exterior, with perfectly smooth icing provides a wonderful hit of coffee and associated spices, recalling perfectly its namesake drink. A more unusual flavour, but a delicious end result, and one I would happily eat again. Really from the first bit of delicious cupcake there was no way that The Sweet Tooth Fairy could not have won this contest. Scoring top marks on all categories from storefront to taste, this shop was a pleasure to visit, and it will definitely be one to visit next time I am in the USA.